Each year, thanks to the Stagebound initiative, one lucky local West Australian act wins the chance to join massive international headliners on the Southbound line up. In 2016, they are adding an extra slot, so this opportunity is opening up for two bands! How do bands get this opportunity you ask? Southbound have enlisted the help of our local media friends who have put forward acts they feel have been causing a stir in The West over the past 12 months. 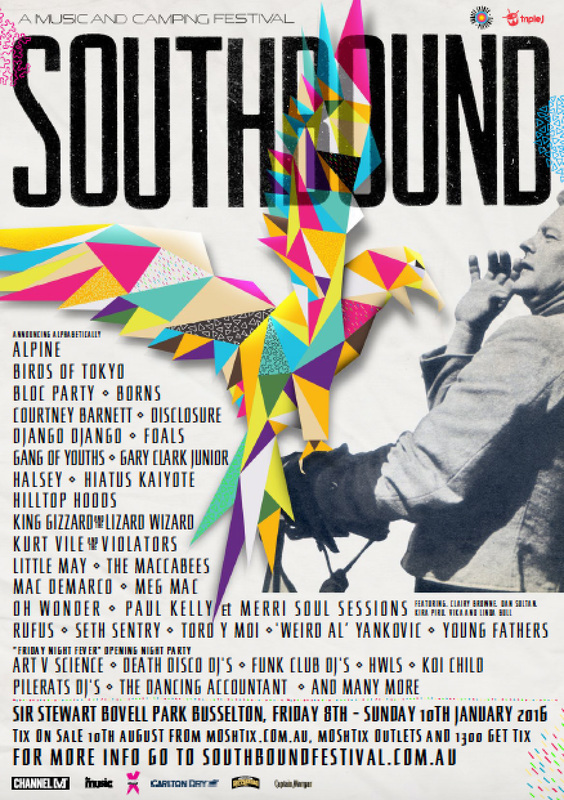 All through the month of November, they will shine a light on their chosen artists, highlighting the very reason they feel they deserve a spot on the Southbound 2016 line up along side amazing acts like Bloc Party, Disclosure, Courtney Barnett, The Wombats, Foals and many many more! You can have your say by voting for your favourite act, between November 2nd - 30th at the Stagebound page. Friday Night Fever (8th Jan): Brand new opening night party, disco inferno fancy dress theme!